Acronym for National Investigations Committee on Aerial Phenomena. 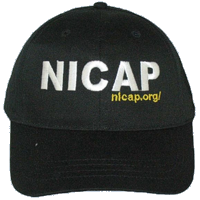 NICAP was founded in Washington, D.C. USA on October 24, 1956, by physicist Thomas Townsend Brown. It was a non-profit organization and its main purpose was to investigate UFO reports and encourage government disclosure of UFO related information. Astronomer J. Allen Hynek cited NICAP as one of the best civilian UFO groups of its time, comprised largely of sober, serious minded people capable of valuable contributions to ufology. The organization lasted about 24 years, dissolving in 1980, and its archive of UFO sighting case files was subsequently purchased by the Center for UFO Studies (CUFOS).